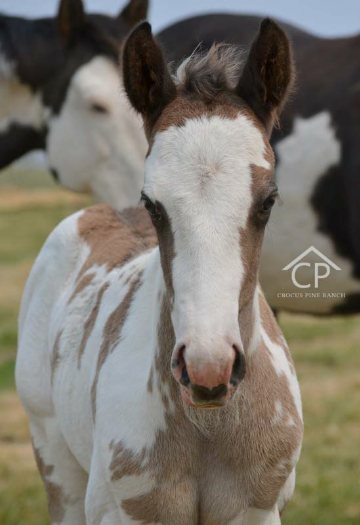 A non-refundable deposit is required to hold the foal of your choice till weaning time. 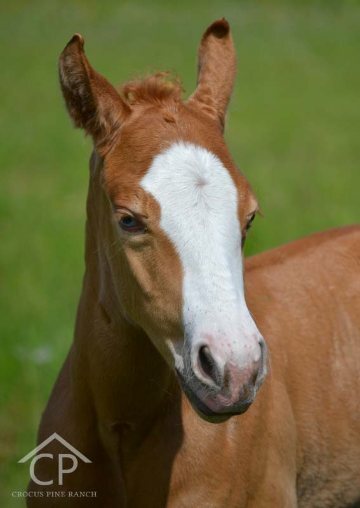 We do accept payment plans, monthly payments on the foal are required with the balance due by weaning time. 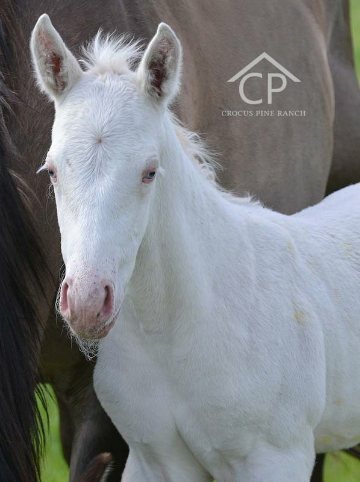 We keep the foal until weaning time and the buyer/ transporter picks up foal at weaning time. 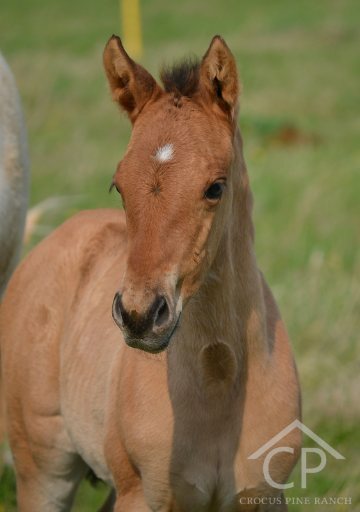 If the foal is picked up at weaning time, then there will be no additional charges for feed or care. If we agree to set up the payment to extend beyond the age of weaning, then board will be charged for the foal till pick up. 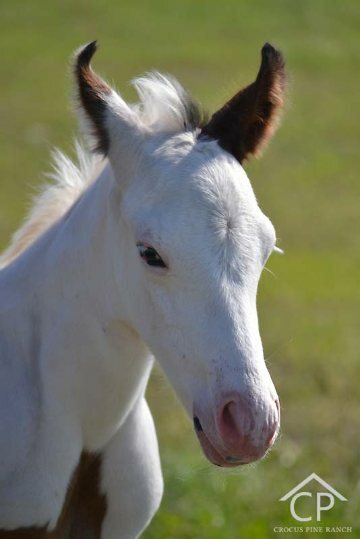 Foals will be given de-wormer at 10 days of age and again at weaning. 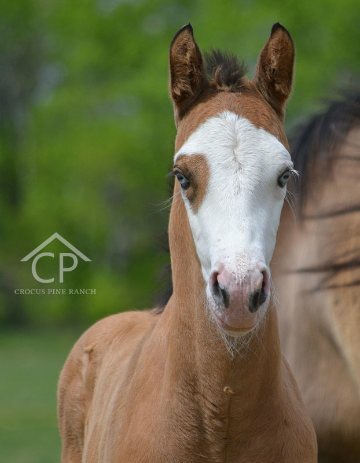 Ownership of foal will remain with Crocus Pine Ranch along with any Registration Papers, Registration Applications, and/or Transfers until after the foal has been paid in full (which includes any extra costs - vet bills, board and expenses) and picked up. 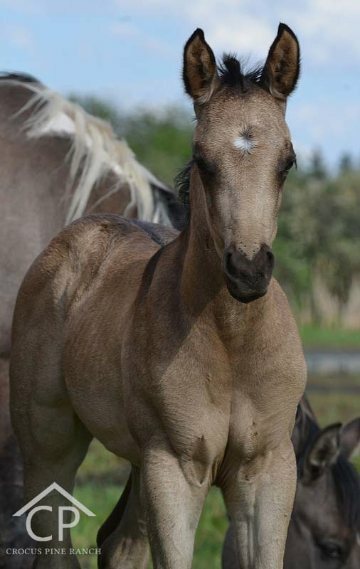 Foal will not be allowed to leave unless paid for in full and all expenses are paid. 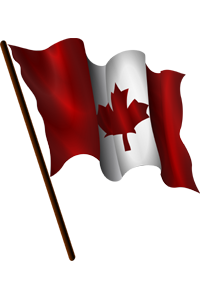 FOR SALE - SOLD ... Switzerland!